I have been sharing the Ladies of Horror Picture-Prompt challenges on my Facebook page in April but thought they ended at the turn of the month, but I am happy to say I was mistaken. More posts have gone up that I missed. I usually share them on my Facebook page unless I have a few at once—like now. 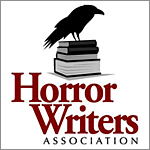 Ladies of Horror is a writing group I joined a few months ago. Each month Nina D’Arcangela sends participants a photo. We respond with a poem or short prose piece inspired by the photo she sent. She posts the writings on her blog, Spreading the Writer’s Word. I always love writing from prompts. It helps me to break out of any ruts I’m settling in to. I get new ideas to play with. I learn to be disciplined and honor deadlines. I get feedback on my work. It’s also just a lot of fun. Bonded by Elizabeth H. Smith—a spooky little nugget that manages to tell a lifetime in a paragraph. 3… 2… 1 by Julianne Snow—another short piece that explores madness from within. The Unheard Voice by Asena Lourenco—ten-year-old Asena has created a poem with a surprisingly mature voice tinged with darkness. Looking forward to see more from this new writer. Find the audio version of Not Enough Cat Whiskers, Baited Breath and more here.